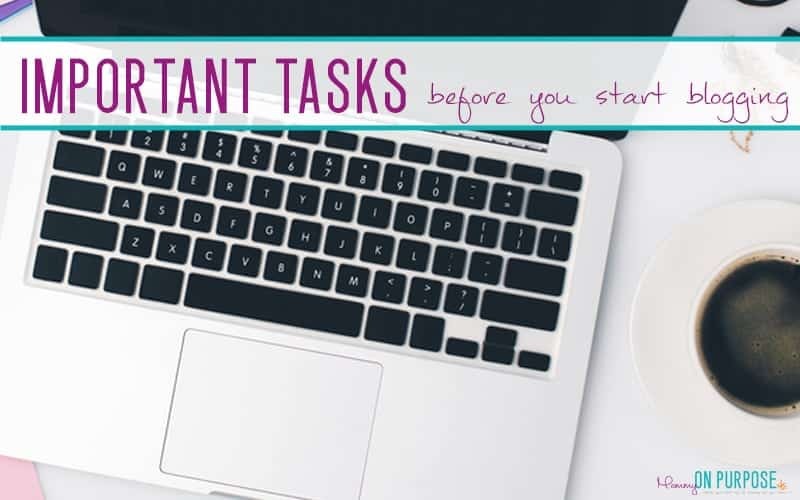 A few very important things to do before you actually start blogging! Trust me, doing these things now will save headaches in the future. You have purchased hosting and installed WordPress. Then you chose and installed an awesome theme. (Right?) 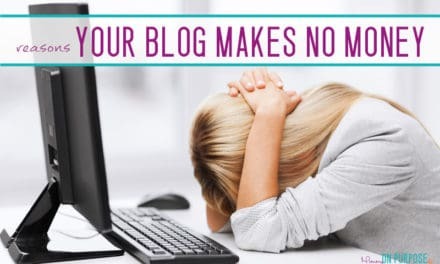 You are almost a blogger! And not with gmail. You can get your admin@yourdomainname.com set up through your host. If you purchased hosting with Siteground (they are the host I recommend – and here’s why) then you can contact their customer support via live chat to have them help you set it up! 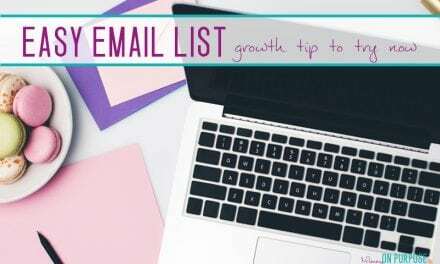 Forward your blog email account to your main email account, so you don’t need to be logging into multiple accounts through out the day. You might not believe it now, but over the coming months you are going to have more ducks to keep in a row than … a momma duck with a big family of ducks. Have a page for user names and passwords (you are going to have site login info coming out your nose in the near future), a page for ideas for future posts, a page for which link parties you are linking up at (and what you linked there). A page for expenses, even if you haven’t spent much. 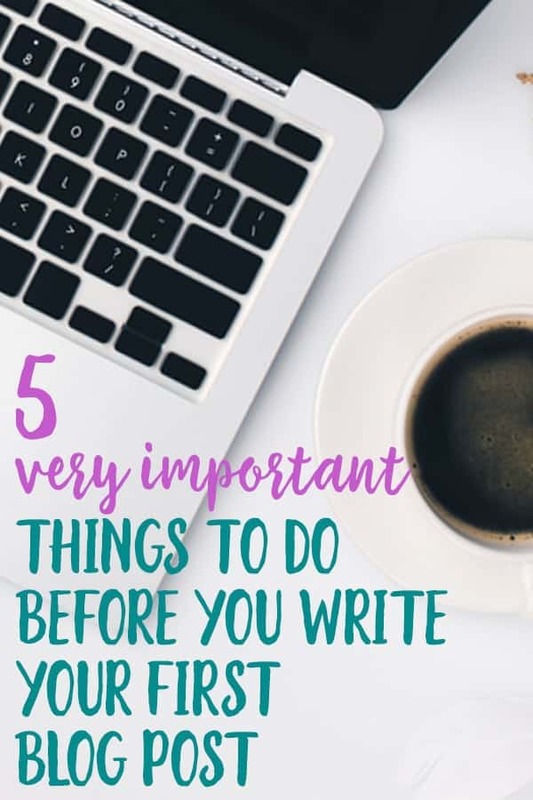 Every time you do something on the blog that seems important – WRITE IT DOWN! I have a gorgeous FREE blog planner available for you! This could take you a few days right here. But burn this into your brain: without social media, you are just standing on a corner, yelling into the biggest crowd you’ve ever seen. NO ONE is finding your blog without social media. 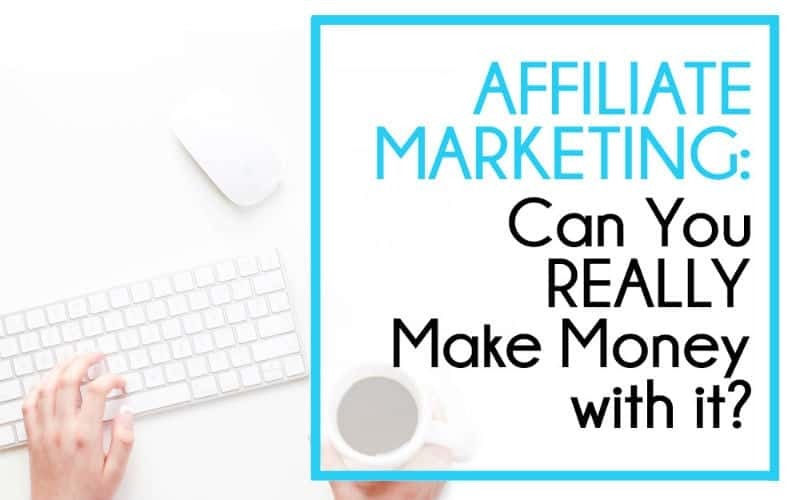 (And you need traffic, if you’re going to make money. At least SOME traffic). Pinterest, Facebook, Instagram, Twitter, You-Tube (if you’ll be making videos). Get them all in a name coherent with your blog. You don’t HAVE to use ALL social media. I don’t. But, you don’t know right now what you will want to use in the future, so setting up the accounts NOW is a good idea… that way if you DO want to use them, you will have reserved the right name. If you can’t imagine ever using all the social media platforms (I STILL can’t imagine I’ll ever tweet – and I don’t have TIME for Instagram), then Pinterest is what you should focus on. Pinterest is so important, I’ve written a whole book on it. Facebook would be my second platform of choice to set up. You will hear a WHOLE LOT of bloggers out there yelling “NICHE DOWN”. 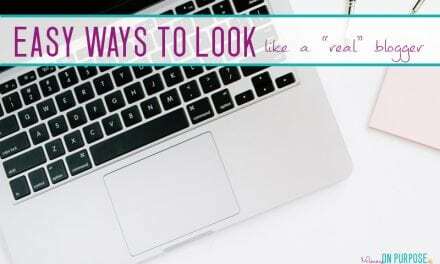 Sure, you don’t want a blog so broad that you’re trying to cover everything ranging from candle making to horseback riding, but I think starting a little broad is a GOOD thing. Then come back and we can talk about organizing your topics. I think starting broad with your niche gives you the opportunity to determine what you enjoy writing and what your audience responds to. Choose a general topic that can encompass many smaller topics – to give yourself some breathing room. Then, organize your topics into verticals. My “general” topic is “helping mom’s create their best life and mommy like they mean it” (I went very broad – intentionally). My categories are mommy tips (this is mostly pregnancy + postpartum stuff), all about kids, life at home, and family finances. I can write about whatever I want as long as it (mostly) fits into these verticals. If you take the time to organize your ideas in your head it will be much, much, easier for you when it’s time to organize your ideas on the computer. You will save countless confused hours if you have a plan for what will go where. And save all those post ideas – you’ll want them when you start writing! Blogcabulary Plus is the ultimate beginners reference guide, at the ultimate beginners price – 34$. This is where I would start, because the price is right and the info is solid. This book alone will answer SO MANY questions and take you so much farther, without getting you into debt. Amy Lynn Andrews Knowtbook – is also VERY good, it’s her own personal collection of online business and blogging how-tos, and it’s amazing (and ALSO cheap – 24$!). Blog By Number is a GREAT comprehensive beginners course, a little more money at 97$ but this one includes videos, which is super helpful. 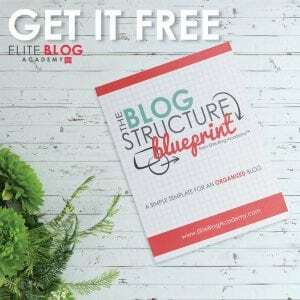 Also, once you have your blog set up and running, I love love love Lena Gott’s Traffic Transformation Guide – It’s one thing to create a blog, and whole ‘nother thing to get people to come TO your blog. 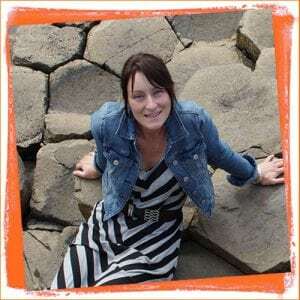 Lena has some awesome strategies that I would absolutely never have thought of (and they work – she gets 400k page views per month!) I LOVE this book. I’ve read it twice, and will be going through it a third time. It’s one of my all time favorites! Check out my full list of recommended blogging resources here. Hi Julie! I am really excited about this series 🙂 Blogging can be SUCH a confusing adventure lol. Please feel free to get in touch with questions and I will do my best to point you in the right direction. Wow, you (this) came along JUST when I needed it! Thx. I can already tell that you have the knowledge I’m going to need. Hey Deborah! That’s great to hear 🙂 Keep in touch and let me know how the blogging goes! Hi Carly, I’m really enjoying your tutorials and excited to get my Blog started. I, however, wanted to let you know that when I clicked the link to go to “Udemy” It took me to a login page. Both links there to me to the same login page. I didn’t see where anyone else has mentioned it yet. HI Marti! Thank you so much for the heads up… I need to look into that – I have no idea why it’s doing that. I love your page, not only are you informed, you are so straight forward and I love it ! I have been wanting to start a blog but I’ll be honest I’m terrified..mainly because I’m older, been in retail business all my life, & direct sales. I’ve pretty much losted on anything I thought I could make money on. I love my God, I have a passion for the ministry ( my grandson told me I needed to be a preacher 🙂 because I love people, their stories and etc. but for some crazy reason no matter I invest in I can’t seem to make money. I’ve always said if I play the lottery I’d get a ticket that said “You owe us” (lol), but reading your blog makes me want to get out there and try. I love Pintrest, my sisters always laugh when they see how much I’ve pinned plus how many boards I have. It’s like having your own magazine… guess you could say I’m addicted! Thank you so much for all the information, the links and etc. you’re awesome and may God continue to bless you ! Hi! Thank you so much for this info! I have read many sites about starting a blog but I keep coming back to this one. I just connect with how it is laid out and how thorough it is for me! Hi, I’m busy with a Lifestyle blog. It’s something I’ve wanted to do for a while and I’ve finely decided to just go for it. My question is – if I have say 20 blog posts to start with how do I publish them? All at the same time so that I can link them or one a day and then go back to link them once they’re published. Any guidance would be greatly appreciated. Thank you. HI Yvette! Yes you can publish them all at the same time and back date some of them if you want, or you can publish them as you write them and – yes – I go into old posts and back link as new relevant posts are published. There are no “rules” about this, I suggest doing whatever works for you. I published all my first 40 or so posts as I wrote them, if that was 2 per day or 1 per week or whatever, and then edited them later for back links. Thank you so much for all of this information! I’m learning so much and look forward to every step. I do have a question about broad general niches, do you think homesteading and happiness is to broad as a main niche? I have a list to drill down to and much research on those topics and blogs. TIA! I think it sounds like a good niche! Thank you for sharing your knowledge on blogging. I’ve been playing around with the idea of starting a blog for 2 years now and I’d always talk myself out of it because of all the many details but your articles and step by step approach have given me the confidence to go all in. I know this might sound like a dumb question: But when I go to set up an email account with my hosting site, does that let my visitors communicate with me? yep, they can email you there if you share the address! Thank you for sharing this insightful article on blogging. I have been thinking of starting my own blog for a couple of years now but always didn’t know how to go about it. With this now, I can start. I will be sending you some emails later if I have further questions. Thank you and remain blessed. You are an amazing resource! Love this post. And love your approach to the question of nothing down. I have a blog on health and wellness but I am also blog to some lifestyle topics or parenting topics. So going about a bit wider is appealing. I wish I had come across you blog when I started. Still learning. Thank you so much! Carly, thanks for your series! It’s been incredibly helpful. May I ask- why do you suggest setting up an email via your hosting site versus directly in gmail? THANK YOU!